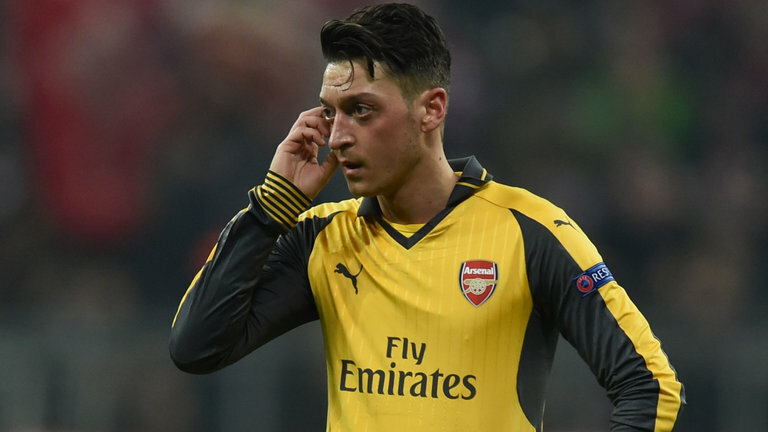 The agent of Mesut Ozil has revealed that his client is not happy to be 'the scapegoat' after every bad result Arsenal records. The German international have received heavy criticism of late and the most recent one came after the Gunners' 5-1 loss to Bayern Munich in the last 16 of the Champions league on Wednesday. Prior to that game, many called for his drop from the starting lineup and their demands became more tense after the game as a lot of fans now want him out of the club. 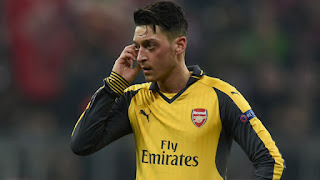 Speaking to the BBC after the humiliation, Ozil's lawyer and agent, Erkut Sogut, said that it is unfair to single out the 28-year-old for blame after every Arsenal loss. “Bayern had 74% possession. How can someone in the No.10 position create chances if you don’t have the ball? “In these games people usually target a player who cost a lot of money and earns a lot of money – that is Mesut. But he can’t be always be the scapegoat. That’s not fair. “Football is a team sport and Arsenal are not performing well as a team. Eleven players were on the pitch but Mesut was singled out for criticism. Was he the reason that Arsenal conceded five goals? “It started before the match, throughout the week leading up to the game. People started discussing: ‘Should he play? Should he be dropped?’. “It was as if everyone knew Arsenal would not make it through and we needed a scapegoat. This is not right. You win as a team and you lose as a team. “I don’t agree that Mesut has not had an impact on big matches. What about the win at home to Chelsea this season and Manchester United the year before? What about the games for Germany against Italy and France at Euro 2016? “People are always saying Mesut is not fighting or tackling, that he has poor body language, but that is how he is. “Believe me, he is desperate to succeed. If it doesn’t work, he shows his anger and expressions. Was his body language an issue when Arsenal were playing well? “I don’t think the criticism has affected his performance or his mental state. Mesut is committed to the club. There is no doubt that he will perform at 100%, with total professionalism and commitment as long as he plays for Arsenal. Nothing will change that.